Feel free to use these banners to link back to our website. Right-click on an image and choose “Save Link As …” to download. Vancouver’s PALM: Fourth Saturday of every month, 2pm – 5pm. Origami USA: Home of the US Origami collective and a great source to Origami conferences worldwide. British Origami Society: Galleries, models, resource databases – there’s something for everybody. And if you’re in the neighbourhood, their conventions draw rave reviews! Centro Diffusione Origami: The Italian origami society has a beautiful site with original models and an excellent link section. origami in Toronto group at Flickr: Have a look at this Toronto Flickr pool for more folding inspiration. 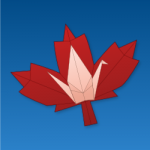 Origami-L: This is THE origami email discussion list, which you can subscribe to or simply search the archives. Ask questions, discuss all things origami, and keep on top of the latest origami developments. OUSA Diagrams: the OrigamiUSA website has a selection of model diagrams free to download, as well as a Publications section. Can’t find something there? Try the Oriwiki Database or Gilad’s Origami Database. Looking for origami portals? Joseph Wu’s links are a great resource for organizations, services, and other sites. Or you might try this public directory. Origami Conventions: Love origami and love to travel? There are origami societies around the world! You can find a list of international origami conventions and exhibitions compiled by Origami Deutschland. The Paper Place: A great place for all your paper needs! They also offer the best range of origami paper in the city. Hanji Gifts: Carries a good selection of hanji and decorative papers. Paper Pleat: Stocks paper in a lively variety of patterns and colours. Pick and choose to your heart’s content!